Although 3G services are seeing tremendous hurdles and delays in India – 3g mobile phones are new market flavour. Nokia, who still has leading mobile handset market share in India has been facing stiff competition in recent times. To stave off the competition, Nokia has announced cheapest 3G mobile phone in the market priced at Rs. 4,500/-. Nokia has gone even further to announce a Rs. 500 basic phone for rural markets in India. Available in black and dark magenta colors, the handset is around 109.6 x 46.9 x 14.4 in dimensions. It tips the scale at 87.7g while its battery seemingly lasts a maximum of 7.4 hours in talk time. The standby time offered by the phone is around 16.5 days. Supporting 3G for quicker search and browsing, the phone also incorporates an Opera mini browser. With Bluetooth support, other features of the phone include a 2 megapixel camera, Stereo FM radio, 1000 entry capacity phonebook, calculator, integrated hands free speaker, expense manager and more. With support for MMS, Email, Flash message and Audio message, the phone also includes a Big Key mat that is easy to use. If the reports are to be believed – Nokia is working on launching a limited number of mobile Handsets at the Rs 500 price point (currently no announcement on handset details). Currently the cheapest phones in the market are around 1100 – 1200 Rs. Nokia’s cheapest phone currently are in 1200 series which are close to 1500 rupees and have basic features like monochrome display, earphone jack, phonebook, etc. But at the price point of 500, I am not sure if even those features are possible – My guess is that this phone will be something like a mini cordless landline phone with just basic calling / receiving facility and maybe a phonebook. What else can you expect for Rs. 500 ($11) ! I think there is a very large rural audience for such kind of a phone – The major benefactors of this kind of phone would be the Telecom companies for whom the next growth market is rural India. I wouldn’t be surprised, if telecom companies start offering these handsets at even further subsidized rates to rural consumers . The mobile services will offer them more income where the handset cost can be easily absorbed ! "Nokia brings 3g mobile to masses at less than Rs. 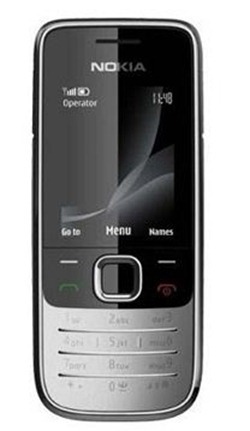 5000 – basic mobile at Rs. 500 ! ", 5 out of 5 based on 1 ratings. show me the low range of mobile phone nokia. You have mentioned that Nokia is planning 2730 3G phone for just 4500/-. Is it possible to reduce the rate further in order to get support from masses. But when is 3G auction ? BSNL and MTNL have full monopoly in their hand at the moment. This is a shocking news to us…Nokia phone in 500 rs will be nice…Thanks for sharing. The way cell phones are used & the frequency with which some of the low cost phones (or even high cost phones) are used & replaced by middle and upper class public is also no less dangerous to environment. As at the end of the era, even these handsets (like computers) will need to be exposed. Exposed especially bcoz the 2nd hand market for cell phone will slowly disappear as the new handset rates become easily bearable for the lower class public. As they say, technology as a boon, most of the times, is only one-sided.